Combine the French's Classic Yellow Mustard, sesame dressing and soy sauce in bowl and whisk to blend, then set aside. Spread a tablespoon of mayonnaise on the bottom half of each roll. Top each with ham, the Asian mustard dressing, carrot, jalapeños, cucumber, red onion and coriander. Cover with top half of roll. 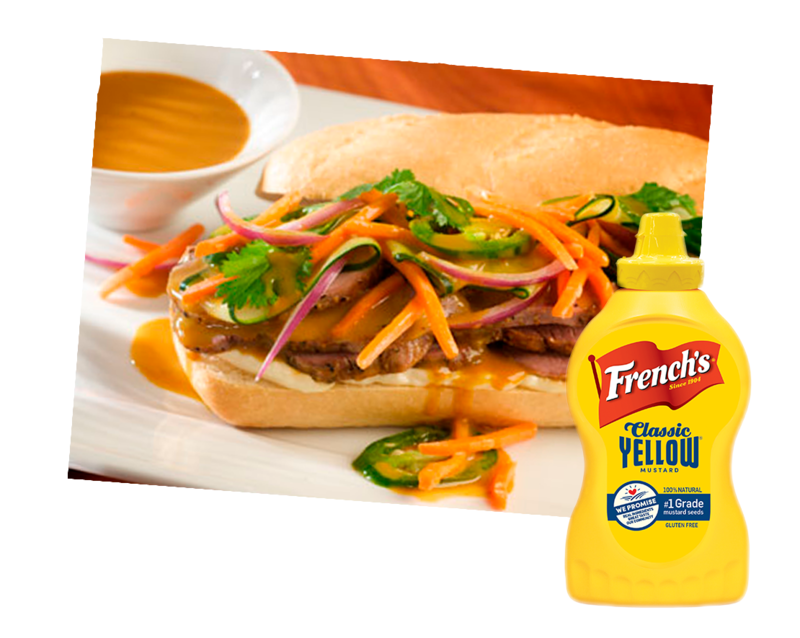 Serve each sandwich with additional Asian mustard dressing on the side.